What Might Be Next For Café Algiers? A few weeks ago, Café Algiers announced that it will permanently close its doors on Brattle Street, where it has been a beloved fixture for more than 45 years. Owner Leo Diodato says it’s now possible that the café, a “sister” to Andala Coffee House in Central Square, might relocate there if it is able to secure a location in the coming month. One of the only Middle Eastern eateries in the Square, Algiers was famous for its special mint coffee and delectable hummus and tabbouleh platters. Diodato and Sami Herbawi took over Algiers in fall of 2016, after the original owner, Emile Durzi, became too ill to continue operating his café. “We wanted to try and keep it open, because this place was his whole life,” Diodato says. 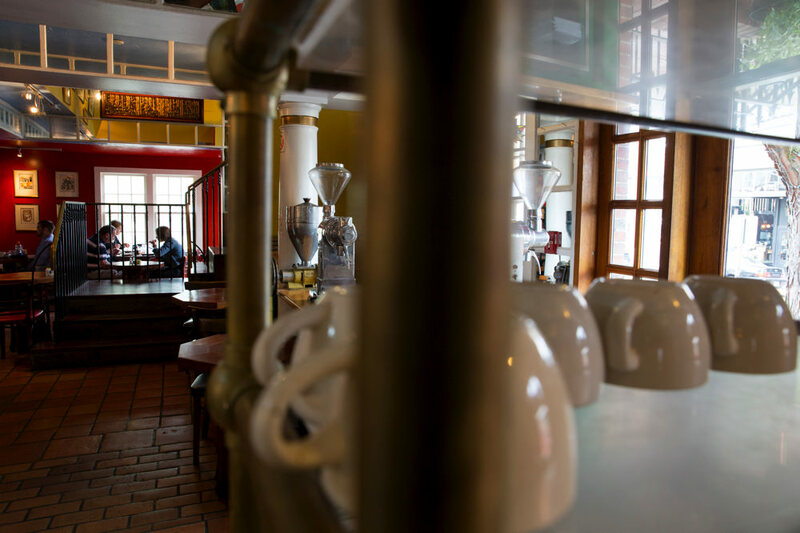 Unfortunately, their continued efforts to keep the historic café up and running proved insufficient to keep Algiers in business; landlord William J. Poorvu, an adjunct professor at Harvard Business School, decided not to renew the lease. (Poorvu did not respond to a request for comment.) The space will reopen as Longfellow, chef Michael Scelfo’s third restaurant in Harvard Square, following trendy seafood-centric Waypoint and farm-to-table favorite Alden & Harlow. When Algiers closed briefly last October, patrons took to the Harvard Square Business Association’s Facebook page to express their discontent over the loss. Although the café reopened under Diodato and Herbawi’s ownership just a month later, it’s likely the Square’s relatively high number of bakeries and coffee shops (the most recent additions include Flour and Tatte Bakery) made it increasingly difficult for Algiers to hold its own. And high increases in taxes and rents in Harvard Square obviously strain tenants, especially tiny historic shops like Leavitt & Peirce, which is more than 130 years old; Grolier’s Poetry, the oldest poetry bookshop in the United States, rents from the University itself, which has been key in its preservation. Although more than 70 percent of the Square still plays host to locally owned independent businesses, that number is steadily declining: witness the recent closures of shops like Hidden Sweets and Schoenhof’s foreign language bookstore, and the significant public backlash following news that the World’s Only Curious George Store would have to leave 1 JFK Street, now that a New York-based real-estate firm is moving forward with plans to convert the building into a shopping mall. Denise Jillson, executive director of the Harvard Square Business Association, believes that consumers’ willingness to show direct support for small local businesses with their wallets often plays a greater role than skyrocketing rents when it comes to determining which businesses succeed in the Square. “Consumers think they’re not impactful, but the truth is, with brick and mortar, you have to be willing to walk in and order a coffee, or to buy something in person instead of just ordering it online,” she emphasizes. She believes the community’s wishes continue to play a large role in the shops that stay in the Square for decades, citing an alumna's decision to re-open Bob Slate Stationer, and the outcry over threats to the Curious George store. Public opinion also proved key in saving 54-year-old Crimson (formerly Nini’s) Corner, after the landlord decided not to renew its lease. The newsstand was forced to leave its location at the intersection of Brattle Street, JFK Street, and Mass. Ave., but has since re-opened further down Brattle Street. As for Algiers, it seems that the best thing loyal customers can do is to frequent its new location, should there be one, and diligently frequent other independent businesses they would like to see stay open in the Square.